Exmoor is a wonderful environment in which to spend your childhood. As in all other areas, school is key to the process of growing up into successful and healthy individuals, who can make a positive contribution to society. It is our responsibility to help our children discover and develop their abilities and employ them in improving their educational standards and opportunities in life. We are an inclusive school and believe in valuing individuals for what they are good at, giving children confidence in themselves and engendering an appetite for learning. It is the aim of our staff here at Dulverton Junior School that our children are happy and hard working. We like to make everyone involved in our school feel part of a caring, lively and nurturing community. We believe learning is best achieved when children are enthused, involved and feel a sense of achievement. A close partnership between parents, children and the school staff will give a child the best foundation for a good education. 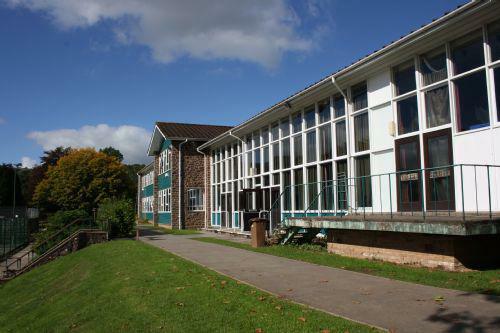 The Exmoor Federation of schools comprises of All Saints Infant School and Dulverton Junior School. We work closely together and also with the adjacent nursery to provide a unique education for children of Exmoor aged from 0-11 years old. This website aims to give you a taster of the school, as well as providing regularly updated information for parents and pupils.